A Sanford woman accused of driving her car onto a ball field and killing a man during a youth baseball game in June has been indicted on manslaughter and aggravated assault charges by a York County grand jury. 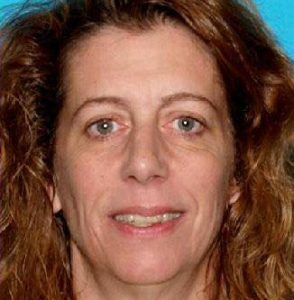 The 15-count indictment handed down Wednesday against Carol Sharrow, 51, includes the manslaughter and aggravated assault charges, both Class A felonies, as well as Class C charges of driving to endanger, leaving the scene of an accident and 11 counts of reckless conduct with a dangerous weapon. 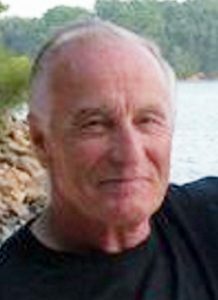 Douglas Parkhurst, 68, of West Newfield died in the hit-and-run at Goodall Park in Sanford on June 1. Some witnesses said Parkhurst pushed some children out of the path of Sharrow’s Honda sedan before he was hit, others described him as trying to close a gate when he was struck. In June, York County Superior Court Justice Wayne Douglas ordered a mental health evaluation for Sharrow and set her bail at $500,000. Sharrow has two convictions for drunken-driving, police said at the time. The case gained national attention, spurred in part by a spectator’s video of the incident that showed the maroon car bursting onto the field during the Babe Ruth game and appearing to circle the bases as an umpire, players and fans fled. Then there was the victim’s backstory. Parkhurst, who reportedly was at the game to watch his grandson play, had confessed to police in 2013 his own role in a fatal hit-and-run in 1968. In that case, 4-year-old Carolee Ashby was struck and killed by a car on Halloween night in Fulton, New York. Parkhurst, who was 18 at the time, had been a suspect at the time, but the case had been closed before being reopened in 2014. After being questioned by investigators, Parkhurst confessed. He was not charged, since the statute of limitations had expired. He wrote in his confession that he was “Oh so sorry” and he begged for forgiveness. At the time of the Sanford hit-and-run police said that there was no known connection between Sharrow and Parkhurst. Attempts to reach Sharrow’s attorney, Robert Ruffner, were unsuccessful Friday night.